GST RFD-01 – Form for Refund and how to file it? 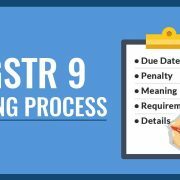 GST RFD-01 A form is introduced by GSTN for online processing of refund under GST. 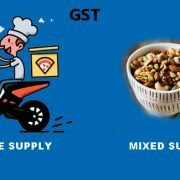 Who can file the GST Refund Application? The application for refund can be filed by any taxpayer in favor of whom the refund order has been issued. An Unregistered person can file GST refund Application by his temporary login. If the refund order is the same for the CGST/SGST/IGST, a single refund application can be filed by an assesse. A single application form shall be filed for every separate order. A taxpayer can file the application for refund within 2 years from the date of communication of order. How to file the application for refund? GST refund application can be filed online on the GST portal. 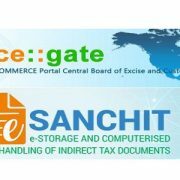 • Visit the official site of GST and log with your details. • On the home page of the website, under the ‘services’ tab, select ‘refunds’ and click on application for refund. • On the subsequent page that appears, select the option ‘On Account of Assessment/Provisional Assessment/Appeal/Any other order’ and click on ‘create’ option to move to the new page. • A new page regarding the selection of various details to file the application will appear on the screen. Under the statutory order details tab, select the appropriate type of order from the drop-down menu and while selecting the option any other order, specify the order. • Enter the Demand Number and order number in the Demand ID field and number order field respectively. • Next, select the date of order and enter the name of the authority by whom the order was issued. • Under the payment reference number tab, from the drop-down menu, select the type of debit entry as ‘cash’ or ‘ITC Ledger’. • Enter the Debit Entry number and click on the ‘ADD’ option to save the details. • After mentioning the above details, the person needs to provide the details in the section ‘details of refund amount to be claimed’ on the same page. • Correct details must be filled in the appropriate columns by the person and the amounts so entered will be verified by the proper officer and any adjustment in the claimed recoverable amount may be made by the officer. • Enter the bank account number in which you will like to get your refund amount deposited. • Tick the declaration box and click on the preview button to view the details of refund before submitting it and if you do not wish to preview, click on ‘SAVE’ option to upload the details and click on ‘proceed’. • On the next page, the option of back, file with DSC and file with EVC will appear. To go back to the previous page, select the back option and if you select the option ‘Submit with DSC’, you need to sign the application using a digital signature of the authorized signatory. If ‘Submit with EVC option’ is selected, an OTP will be sent to the registered mobile number and e-mail id of the authorized signatory. Enter the OTP to submit your application. • An Application Reference Number (ARN) will be generated once the application is successfully filed and will be sent to the registered e-mail id and mobile number of the person and the filed application can be viewed anytime under ‘saved or filed applications’ tab on the GST portal.